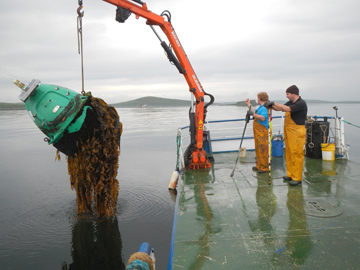 We have a long standing involvement in and a deep commitment to the Irish Marine Sector. We have been consulting on marine (tourism) infrastructure, navigation, seamanship, mariculture projects, as well as business development, and marketing. 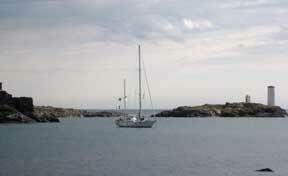 We also provide team building opportunities aboard our sailing yacht. Our partner Clew Bay Marine Services is the first and only Irish owned and operated company that is focussed on, fully equipped and licensed to service marine aids to navigation, moorings and other marine structures on a nationwide scale. Utilizing a purpose built transportable shallow draft vessel CBMS is able to work in shallow waters or wherever needed. Not needing to transport their work platform from the UK is one of the factors contributing to the cost savings CBMS is able to offer customers. As their workboat has been designed to be transportable by road, access to ports and harbours nationwide is good. We are widely published in boating press (as well the pharmaceutical press). Our repertoir ranges from technical 'how to' articles through biographies and monographs, what we experienced while out cruising, destinations we have visited, and on to full length commercial fistion novels. We also do many writing and editing assignments.